If I told you to name all of the mid-engined 90s cars that were built in Japan and sold in the USA, the list would probably look like this -- Toyota MR2, Acura NSX...and that's about it....but you'd have missed the 7 passenger car with available supercharger and all-wheel-drive...did I mention you can get it with a stick? 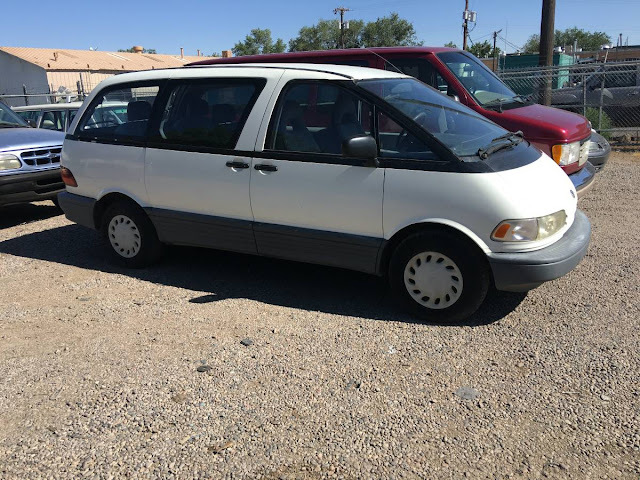 Find this 1991 Toyota Previa offered for $1,650 in Albuquerque, NM via craigslist. Tip from FuelTruck. 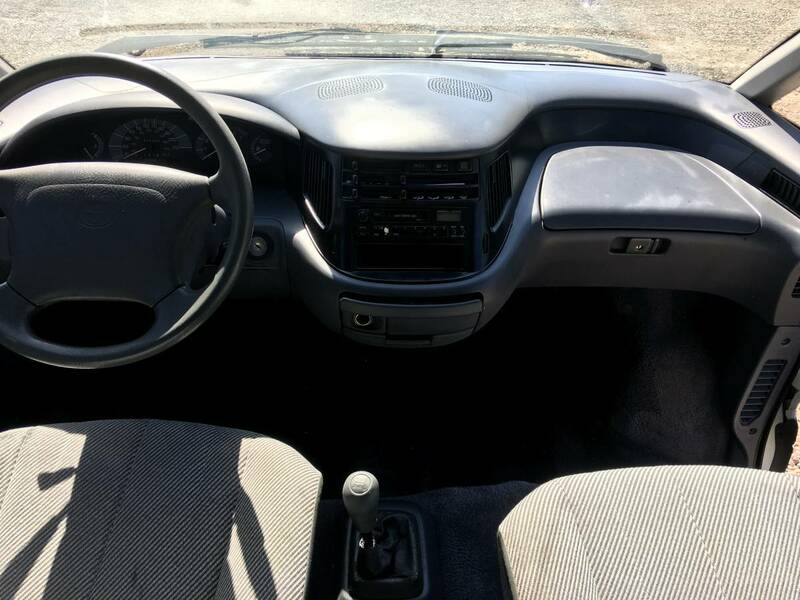 The Previa was available from the factory with optional all-wheel-drive (standard was rear wheel drive), a manual transmission and an optional supercharger. The supercharger boosted the 2.4 liter inline-4 (in the car shown here) from the base 135 to 160 horsepower, but you couldn't get the supercharged version with a shift-it-yourself gearbox. I'd get a 5-speed like this one and swap the blower onto the engine. As I recall the reason you couldn't get a 4wd 5 speed with a supercharger was that the the supercharger attached to the crankshaft at the front of the engine , which was laid over 90 degrees under the floor. Sort of like the Potvin blower setup. Anyway, there was something about the blower and the either the 4wd or the manual transmission occupying the same space in front of the engine. These were way more sophisticated than minivans but the only difference anyone noticed was that they were priced accordingly. Next best thing to an Espace. Like the original Toyota parts, they are designed and engineered to give you long and lasting service and the most efficient performance.